ZaraTraffic is a new application for commercial management that allows you to automate your station's commercial blocks. 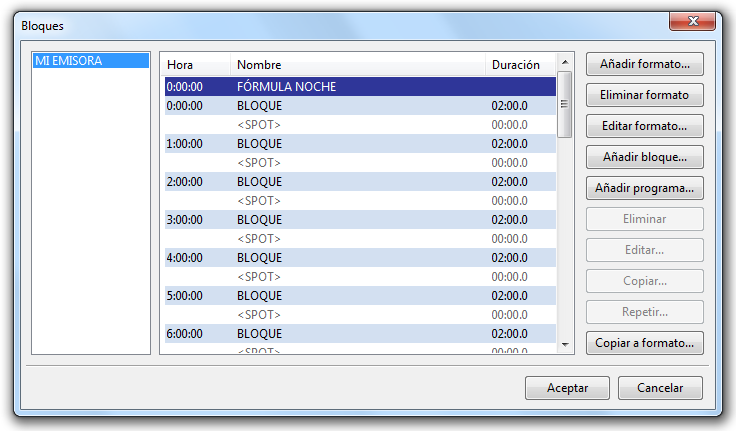 Ability to specify the number of times a spot must be played each day during the campaign. 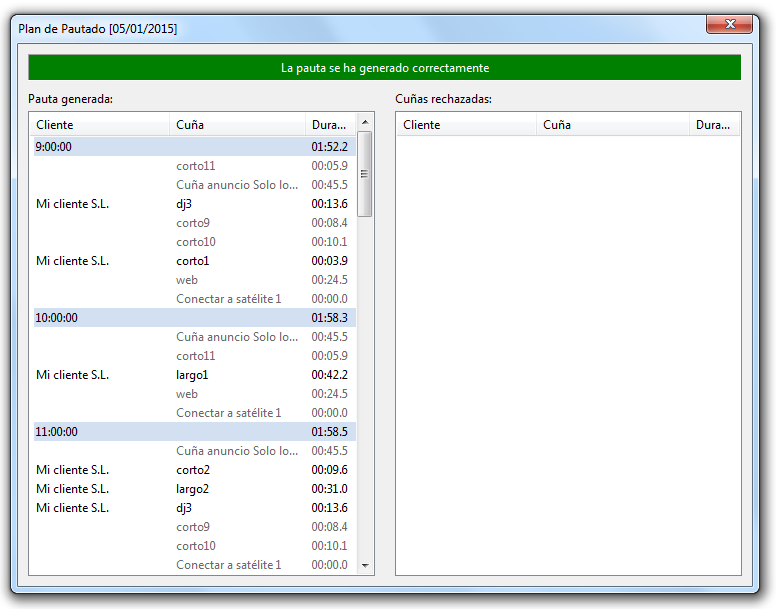 Allows you to set the shows or time periods where the spots will be played. Ability to associate several spots in rotation to the same campaign. Ability to play different spots depending on the show or the time. 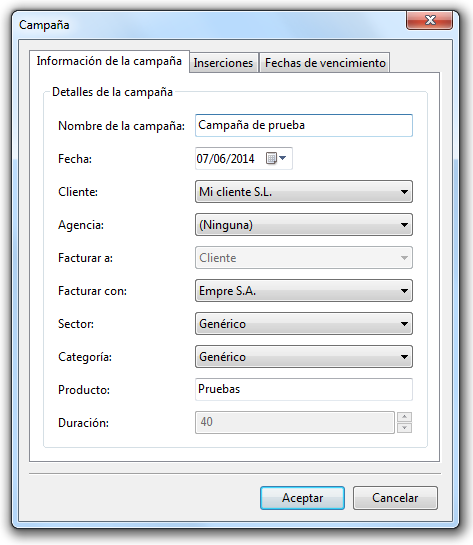 Allows you to set the dates in which a campaign should be invoiced, as well as the price. Commercial block management, allowing you to set their time and duration. Ability to use different block templates depending on the day. 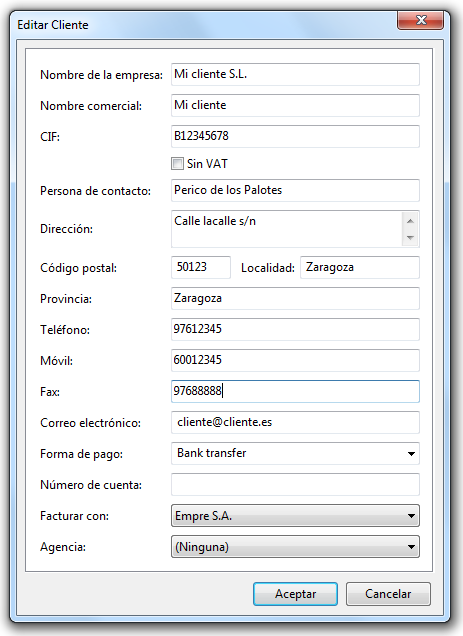 Automatic scheduling based on the requirements specified in the campaigns, generating perfectly balanced blocks. Fill the unused space in blocks with jingles and promos. Do you want more details? Download the user manual. Are you interested? Get your license now for 120 euros (VAT not included). 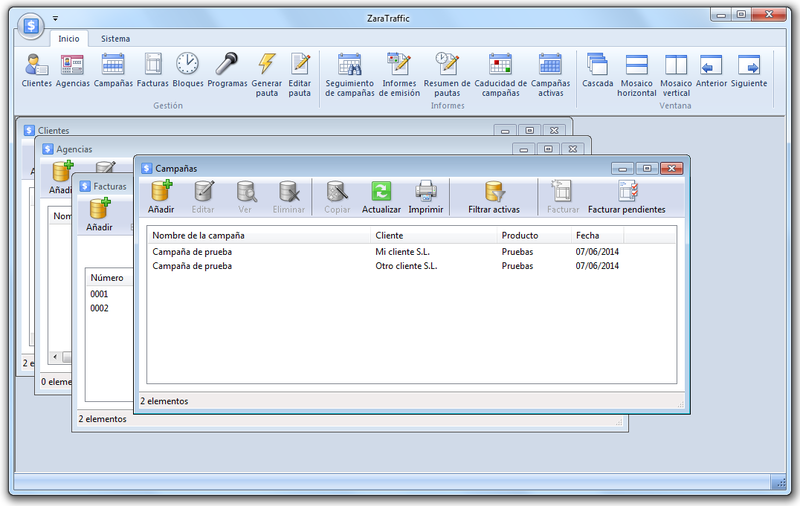 ZaraTraffic works with a software license, so there are no extra costs.